Here is the score of the 1967 Indian movie "An Evening In Paris", sung by the great Indian singer Asha Bhosle. Asha Bhosle is a household name in India. Some call her the "Barbara Streisand of India" and she is considered as one of the most versatile of South Asian singers. Sister of the most influential voice of India, Lata Mangeshkar, Asha Bhosle was born in 1933. Like her sister, she was trained by her father, a classical singer, in classical music. Around the age of ten she sang her first film song in the Marathi film "Majha Bal". She is best known as a Bollywood playback singer, although she has a much wider repertoire (her range of songs includes pop, ghazals, bhajans, traditional Indian classical music, folk songs, the songs of Bengali poet Rabindranath Tagore; Asha even recorded one of the Bollywood's first Rock n' Roll numbers; alongside her sister Lata Mangeshkar, Asha Bhosle is regarded as an icon of Marathi music - Marathi is her mother tongue). 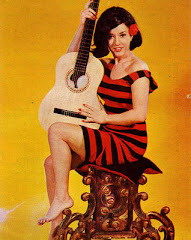 Her career has spanned over six decades. She has done playback singing for over 925 Bollywood movies. She is believed to have sung over 12 000 songs! Her speciality was in sensual songs or Western-styled songs - she had an uncanny knack for making every actress she sung for smoulder on screen as never before. Asha Bhosle has sung in virtually every Indian language (including Hindi, Bengali, Gujarati, Punjabi, Tamil), in Russian and Malay, and has performed with many international artists. 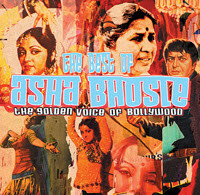 In 1980's and 1990's, Asha toured Canada, Dubai, the UK, the USA and many other countries. In 1989, she performed in 13 US cities in 20 days. Immediately after this, she had an already sold-out concert scheduled in Stockholm, Sweden. As late as 2005, 72-year-old Asha Bhosle's numbers for 2 great films were chartbusters. Recently, she has been nominated for the prestigious Grammy Award for Best Contemporary World Music Album. She has sold millions of records and has received innumerable awards. Some have spoken of rivalry between Asha Bhosle and her sister Lata Mangeshkar. Actually they sang together and Asha is now considered as equally iconic, and the two of them are the queens of Indian playback singing. Asha's voice possesses a lilting, versatile quality that can capture any song at any form or scale and she has an incredible vocal range. 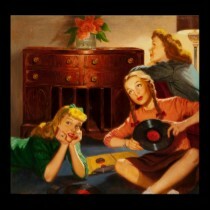 Enjoy Asha's enchanting voice!